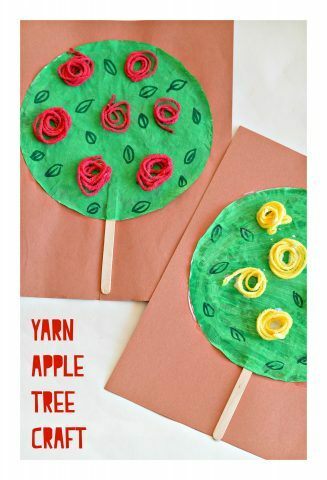 Using simple craft supplies create these cute yarn apple trees. 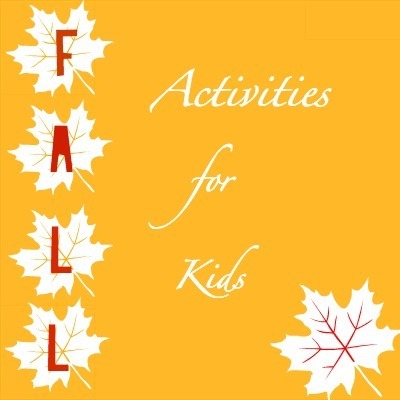 Great for preschoolers. 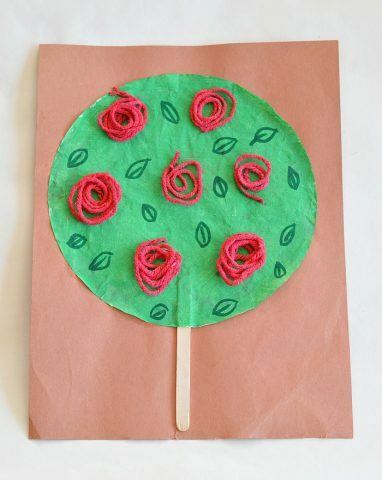 Since we are in full blown apple season, we have another apple crafts for kids that you and your family can try. Take a look at all of our apple crafts we have done so far. 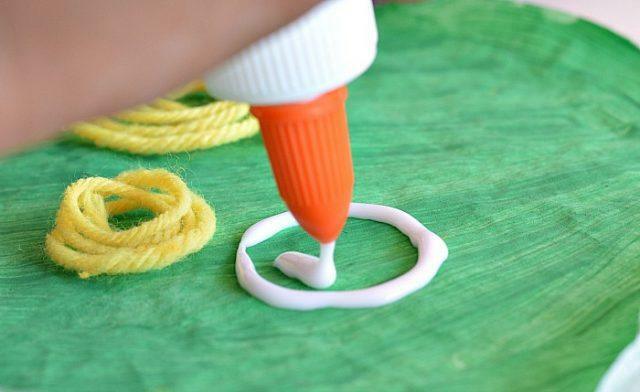 We used coffee filters and flattened to a circle and painted with washable paint and had them dried. Take a look at our watercolor apple trees to see the process in action. 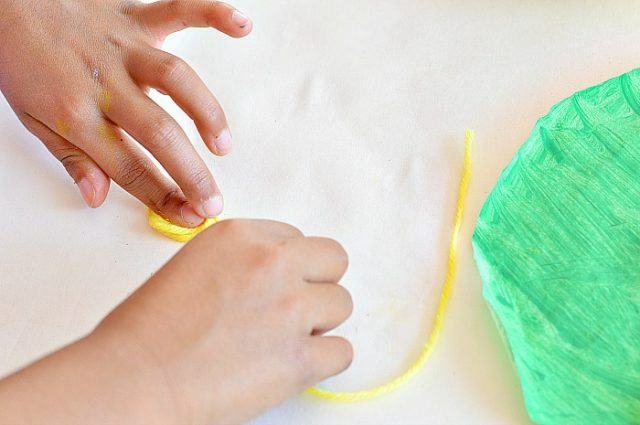 Use Washable Kids Paint instead of watercolors. 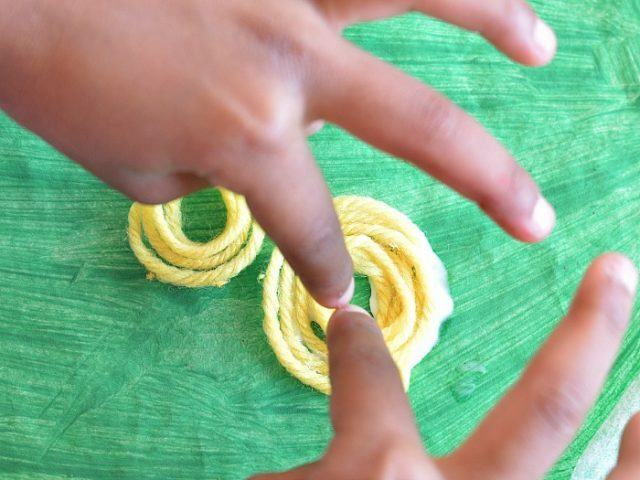 Once the green colored coffee filter is dry, set it out along with colored yarn. 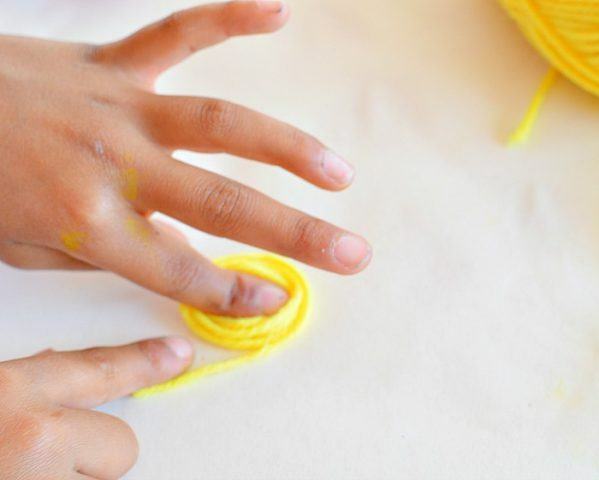 We love yarn and the kids enjoyed their sticky yarn learning activity and sticky fall tree activity we shared earlier. It was a great fine motor activity that helped with developing her scissor skills. 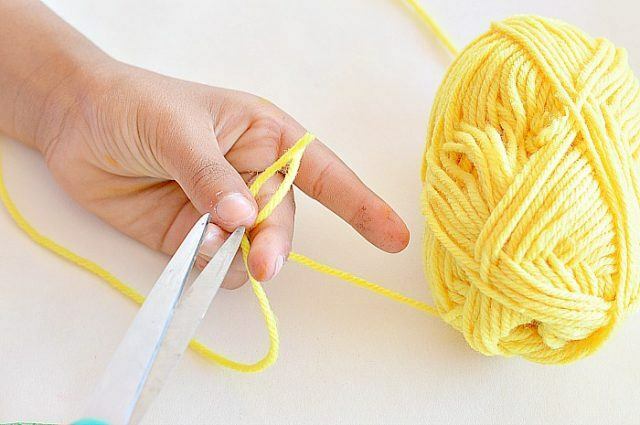 She snipped the yellow and red yarn into smaller bits. 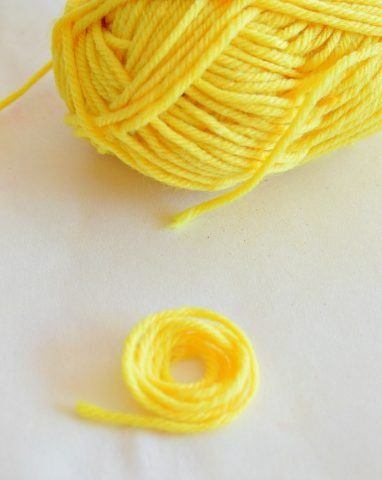 Then I showed her to hold one end of the yarn and start twisting around her finger to start forming circles. After a couple of tries both the kids got it and were yarn apple making machines. ha! 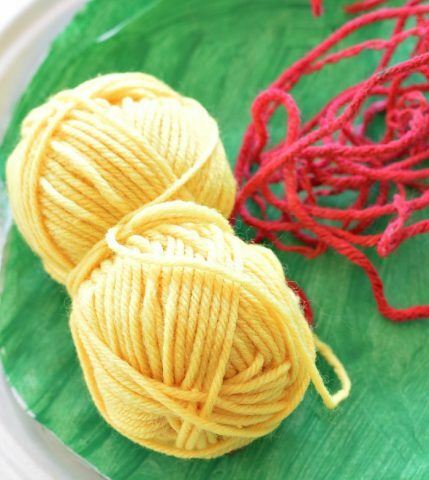 Since these little yarn circles are just representation of the apples we didn’t focus too much on perfection. Once the “apples” were created they glued them to the green coffee filter papers. 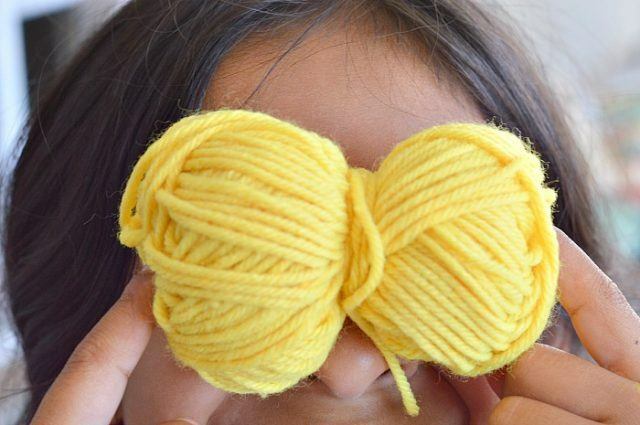 There is always time for goofing off with the yarn bundles! Added a few leaves and glue a craft stick for a trunk to finish off the apple craft. 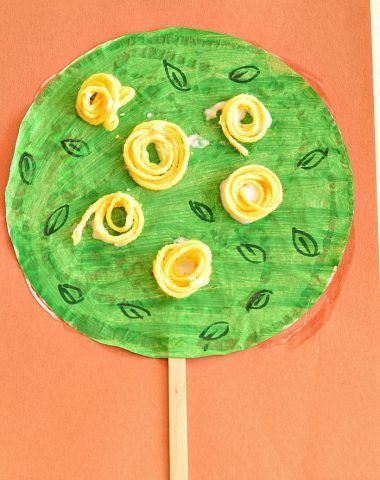 A great preschool craft to go with your apple theme.